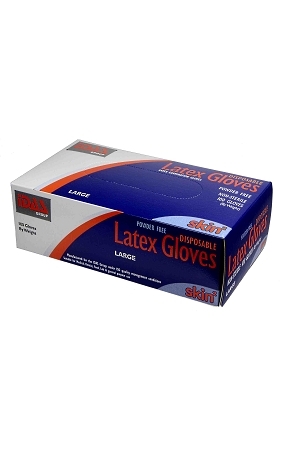 Latex Powder-Free: Polymer coated so they are powder free, so there is no corn starch residue. A more popular end result because it's cleaner. These have a textured finish to the finger tips which assists in giving a little more control over handling.